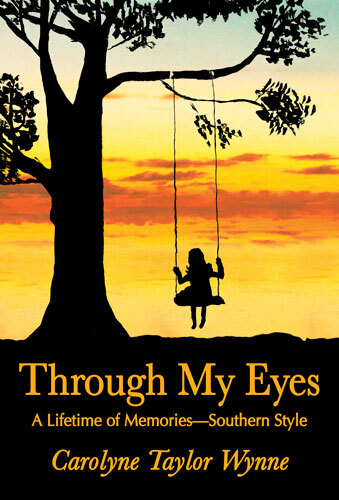 Through My Eyes is A Lifetime of Memories—Southern Style, from proud-to-be-Southern storyteller, Carolyne Taylor Wynne. Carolyne’s true tales of her life will charm you with their innocence and entertain you with their humor. Her “laugh at myself” punch lines are page-by-page reminders that the best humor often comes from being oh-so-much less than perfect. Historical, educational, and wholesome, Through My Eyes is a treasured book that families, adults, and children of all ages can read and enjoy together.